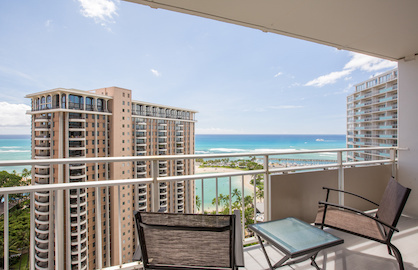 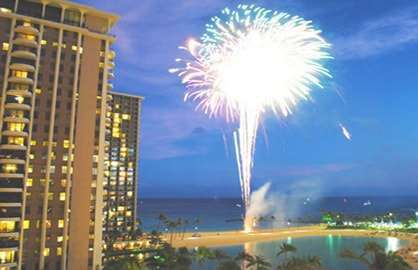 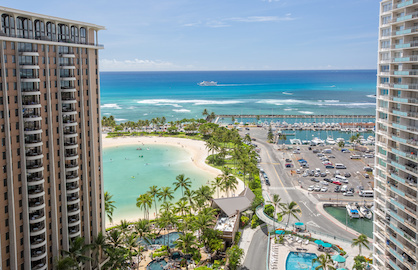 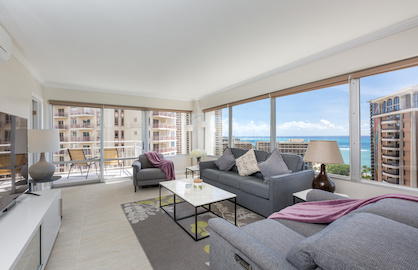 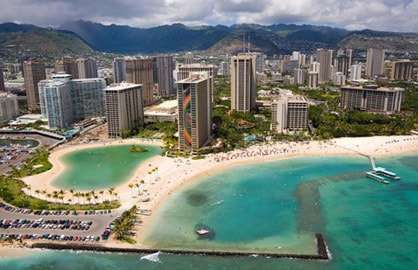 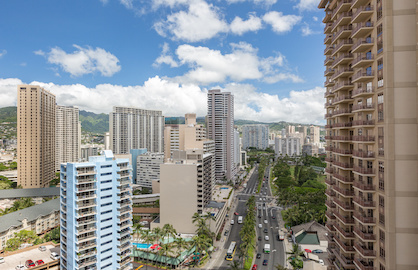 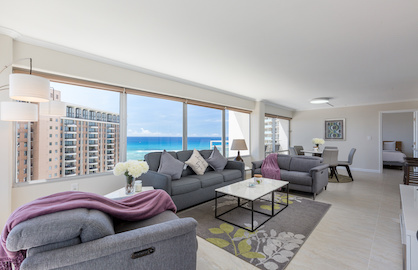 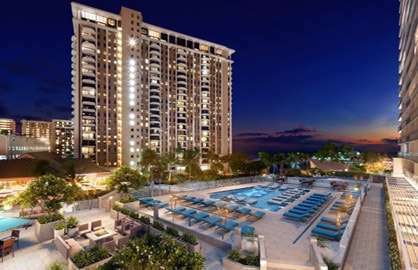 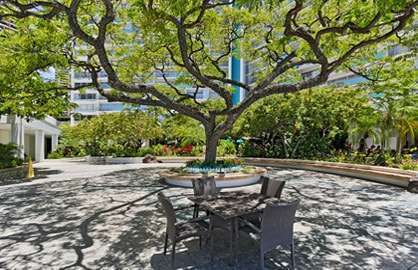 WaikikiBeachRentals.com - BRAND NEW - 2 Bedroom Ocean Views! 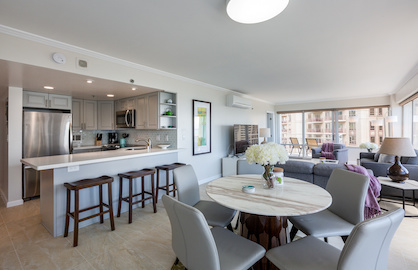 The dining area and spacious living area with queen size sofa bed are tastefully decorated and has split AC system and a 65" TV for all your TV watching. 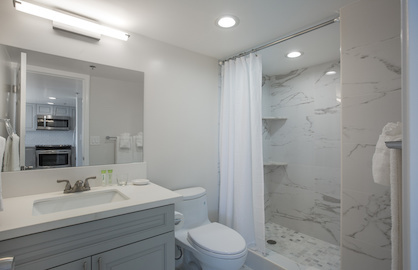 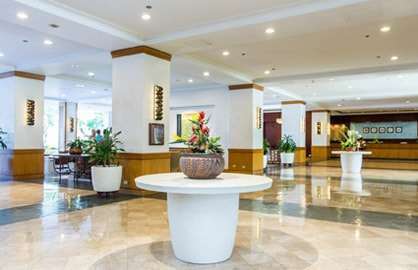 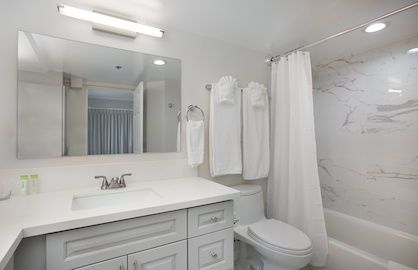 There are two spacious bathrooms and proper two large bedrooms on opposite ends of condo for privacy. 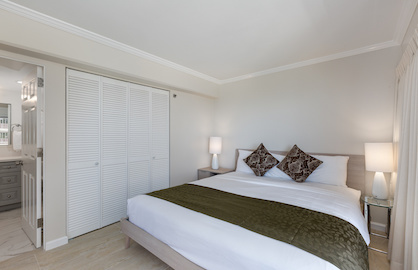 There is a King bed in the master bedroom, 2 double beds in guest bedroom and a sofa bed in living room. 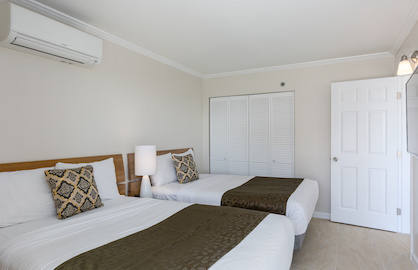 Both bedrooms have split AC and large TV's (50" in master bedroom, 45" in guest bedroom). 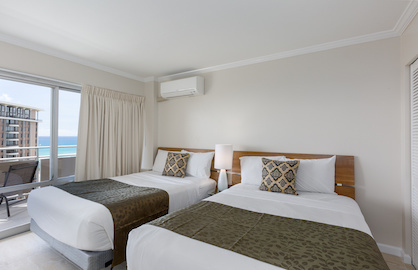 The new unit has all new split Air Conditioning units, 3 in total, one for living area and one in each bedroom. 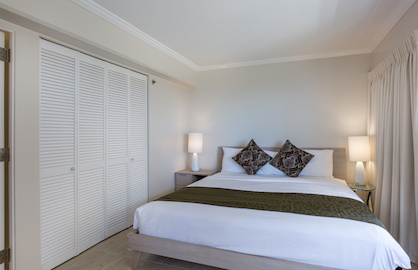 There is also black out curtains in the bedrooms so sleeping late is easy while on vacation. 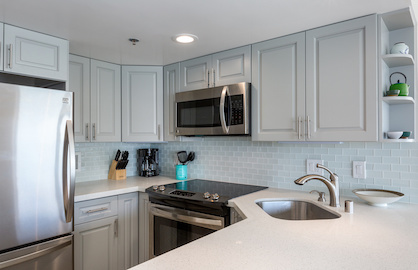 This great ocean view unit has a full beautiful modern quartz counter top kitchen, breakfast bar for 3, with all new appliances including stove, oven, microwave, fridge, dishwasher, coffee machine, rice cooker, blender, toaster, cooking items and everything else you might need to cook meals. 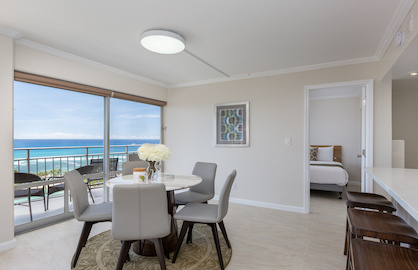 Dining Area watching the surf! 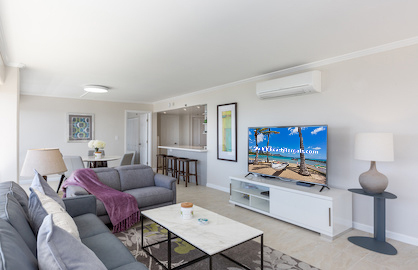 Split AC and TV in all Rooms. 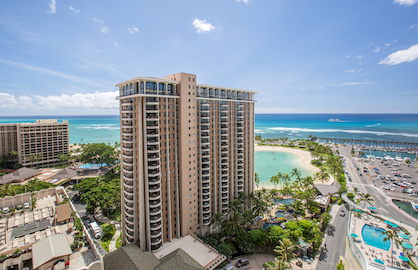 Ilikai 2026 - We really enjoyed staying in the condo. 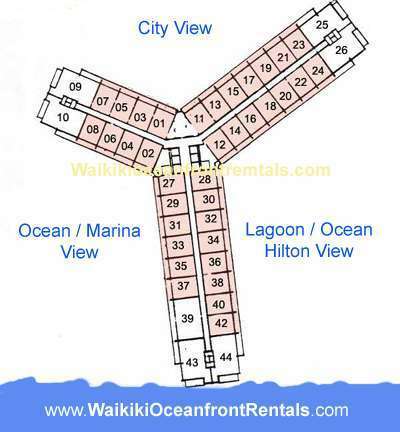 2 bedroom and 2 bathroom. 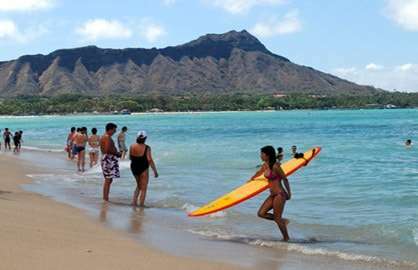 great views and local transport at your door step. 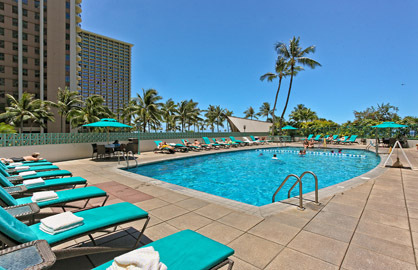 I would stay at Ilikai again. 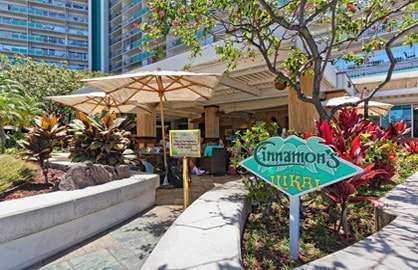 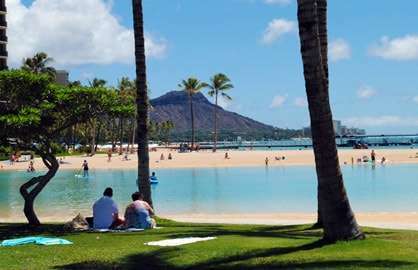 WaikikiBeachRentals were easy to book with and instructions were easy to follow.